For this edition, rather than delving into a single episode of television, I wanted to take a look at an ongoing storyline in BBC One’s flagship serial drama EastEnders (1985 – ), set in the fictional Albert Square, Walford. The story in question is one that has been carefully constructed and is playing out over a number of months: that of Stacey Branning‘s (Lacey Turner) struggle with postpartum (also known as puerperal or postnatal) psychosis. For an overview of the storyline, plus interviews with the key actors and other members of the creative team, the BBC iPlayer has an exclusive documentary currently available, entitled “Stacey Branning—On the Edge“. Postpartum psychosis is a rare but severe and disruptive psychiatric illness suffered by around one per thousand mothers shortly after giving birth, and characterised by mania, depression, confusion, and delusions. Mothers with bipolar disorder are particularly at risk, with up to one in four experiencing the condition, although it is important to note that the diagnoses are separate and that not all those that experience postpartum psychosis are bipolar. Neither is there a link to post-natal depression. In Stacey’s case, though, her struggle with bipolar is a longstanding element of her character, indeed one that earned the series Mind’s Media Award for Drama in 2009. Stacey’s episode of postpartum psychosis seems all the more plausible given the many different strands that have conspired and converged in her life over a number of weeks and months, exemplifying the kind of storytelling opportunities that serial drama offers. 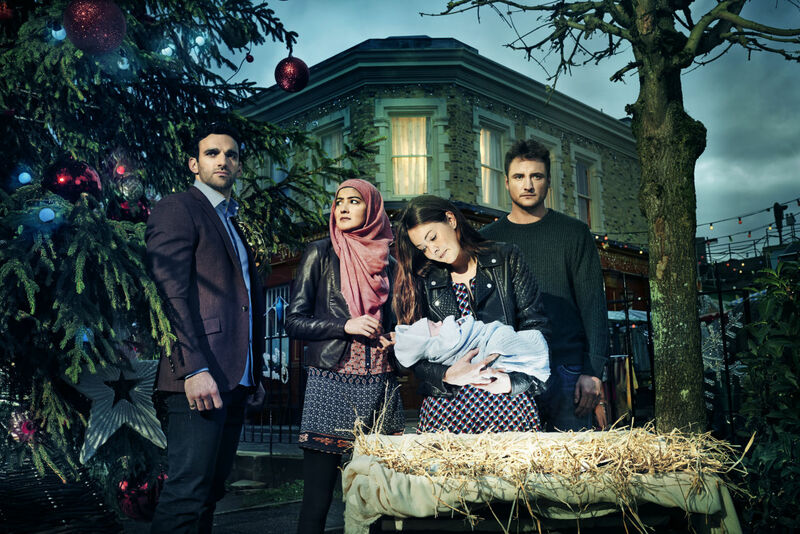 Her partner is Martin Fowler (James Bye), whilst her baby, Arthur, was actually fathered by his best friend, Kush Kazemi (Davood Ghadami), who is in turn married to Stacey’s bestie, Shabnam (Rakhee Thakrar). Whilst their respective love lives may read as a little convoluted (did I mention this is a soap opera? ), Stacey’s guilt and anxiety over her circumstances actually serve to make the spark for her postpartum psychosis yet more believable. Add to the mix a long-lost sibling who has just appeared without warning and is behaving somewhat suspiciously and secretively (having not yet revealed that he is transexual), the sudden death of Stacey’s great-uncle following a family argument in her home, and—crucially—the fact that her baby was born rather suddenly on the set of Walford Square’s Nativity play on Christmas Eve, and her mental struggles start to feel much more tangible. That link to the Nativity story is an important one, since Stacey’s postpartum psychosis has taken the form of her believing that Arthur is the son of God, and that she must protect him from the Devil and his agents, which she starts to see everywhere. (I am very interested in the links between supposed religious experience and mental illness, but that’s a topic for another time.) She takes extreme action in her misguided attempts to protect her newborn, in turn finding herself hiding out on the roof of local pub the Queen Vic during a thunderstorm, refusing to leave her bedroom, surrounding herself with broken glass so that the Devil cannot come near the baby, and much more. All in all, this might seem an unlikely storyline for a serial drama that usually concerns itself with the grit of day-to-day existence in London’s East End. Interesting, too, has been the uncharacteristic use of camera, sound, and special effects in the series to illustrate Stacey’s perspective in her psychosis. Thunder and lightning more befitting of a horror film were the backdrop to dramatic moments on the roof of the Queen Vic, whilst sound design and camera effects have been used sparingly to illustrate Stacey’s point of view. These stylistic flourishes are particularly striking given how unusual they are in serial drama, and how much of a departure they represent from the series’ usual look and feel, and as such they really pay off. But none of these effects should take anything away from Lacey Turner, whose performance has inhabited and defined the character of Stacey on-and-off for over a decade, including the ups and downs presented by her bipolar disorder. In January 2015 I was talking to Professor Ian Jones, who is a Professor of Psychiatry and an affiliate to Bipolar UK. And he mentioned in our conversation, “Have you heard about postpartum psychosis?” And I said, “No—tell me more.” And the more he told me about it, the more I thought, “Wow, this could be very dramatic, but also it feels like an issue we’ve never seen before on TV.” So it’s dramatic and novel, and perhaps in need of being told. When it was first pitched, and Alex Lamb and the story team and the writers all came to me, Alex sat with me and said, “What if Stacey thinks that Arthur is God?” And I immediately balked a little at it, because it’s really out there. But this came from real stories. Alex said that there are several cases of mothers believing that their child is God. As with any storyline, research is really, really important. And it was important for us to get all the research fully done, and get all the stories from real life situations in our heads and give them to the writers, so that we could use different elements of that with telling the story. At Mind we are quite unique, as alongside our traditional media team who help journalists and promote the work that Mind do, we also have a media advice service dedicated solely to ensuring that onscreen portrayals of people with mental health problems are accurate and sensitively done. A lot of our work involves working with serial dramas. Some people may question what value this has, but we know that serial dramas have an amazing opportunity to shape and challenge attitudes, raise awareness, and dispel myths. Watching a character on screen with a mental health problem may be the first time someone watching is exposed to mental health problems. We also know that millions will happily follow the shenanigans of the Square weekly, but would never dream of switching on a documentary. I count myself as a follower and supporter of Mind’s work, and I heartily agree with this sentiment. Indeed, it is the very reason I was inspired to create this blog, and to consider writing something that touches upon mental illness in a way that I hope is fresh and original, and that therefore has the potential to be genuinely impactful. The reaction to the storyline so far on social media and within our supporter network has been overwhelmingly supportive. Many have said that they had never heard of this condition before, which is one of the reasons for doing this storyline. Some women who have also been through this experience have said that it is hard to watch but incredibly important to get out there. They have also said that watching Stacey is like watching themselves. There are some who may think that this is a ‘typical’ soap opera storyline that wouldn’t happen in real life. However the women we have worked with say that their ‘real’ stories are far darker and really not suitable for television. 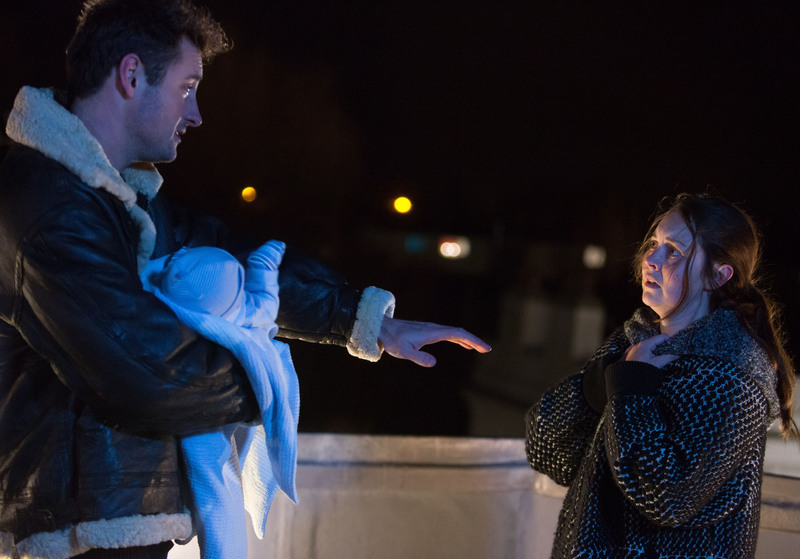 Stacey Branning’s ongoing storyline in EastEnders is, then, that all-too-rare circumstance: popular and engaging television that is meticulous in its presentation of mental illness, both entertaining and genuinely informative. In this regard it is, therefore, for me right now setting a standard to which all such drama should aspire. Though I have not watched Eastenders since I was a little girl – Stacey Branning’s story is great. Thanks for the comment, Adelaide. I’ve dipped in and out of EastEnders over the years, but for me Stacey Branning’s storyline—and Lacey Turner’s performance in the role—have been a highlight.